When you travel more than once around the north shore of Lake Superior you begin to recognize a few places. Old Woman Bay sticks in your mind. There is a reason for this. The Trans-Canada Highway hugs the coast through much of its journey. But one section of the route moves inland. Approaching Old Woman Bay from the north, you finally return to the lake after a couple of hours without coastal views. What is it they say about absence? At Old Woman Bay you come back to the compelling scenery of the Lake Superior coastline. Old Woman Bay could be renamed Come Back Bay. 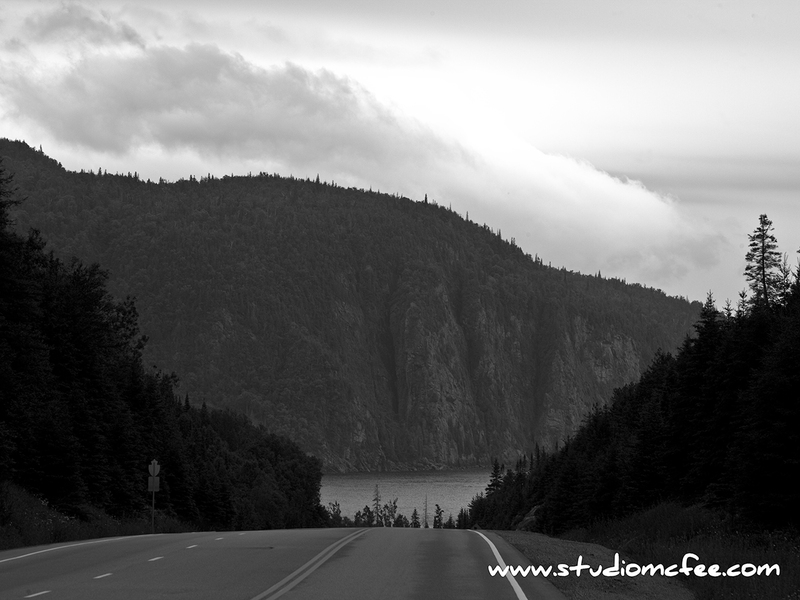 Old Woman Bay is only one of many landmarks that define the drive north of Superior. It is a grand place to take a break and walk on the beach. But be prepared, since the bay is open to the big lake, it can be windy and cold even in July. Like Agawa Bay (see Agawa Aglow), Old Woman Bay gives you a glimpse of the moods of Gitche Gumee. Another post and image of Lake Superior can be found at Seduced by Superior.